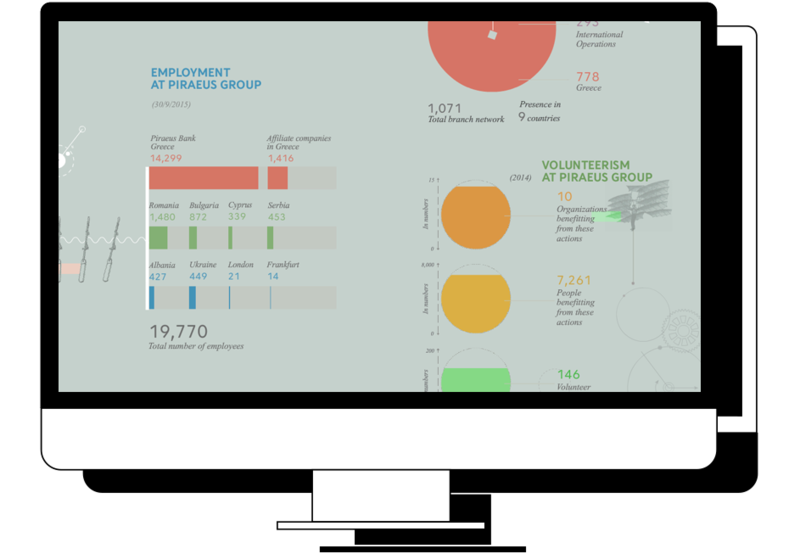 In 2013 Piraeus Group asked us to create a series of standalone presentations to visually represent the Groups’ key financial data and CSR contribution to Greek society. The success of the initial project led to the adoption of animated infographics as the web site’s main visual language. The idea was to create simple animated elements to visualize the Group’s ongoing contribution to Greek society in culture, local economies and green policy. We based our idea on the Bank’s motto that talked of stability through constant motion. 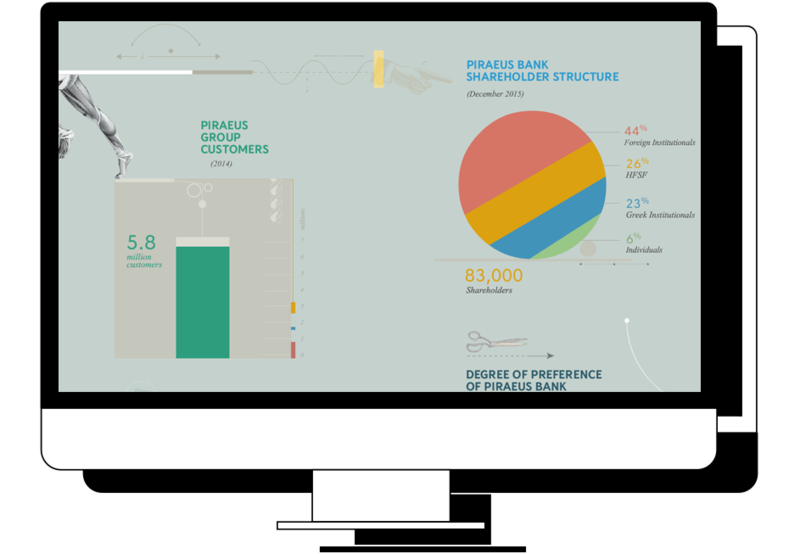 As a result we created a series of simple motions such as lift, fly, rotate, push, pull and drag to visualize the bank’s upwardly mobile trend. The Bank also asked us to visualize its contribution to Green economy through a series of data. To answer that we designed 8 presentations of key areas of activity such as carbon emissions, transportation and recycling with the use of simply animated symbols and semantics.